Comfort and safety are in demand in the automotive industry. New generation car engines and gearboxes have become more silent. While the reduction of functional noise creates a comfortable environment, the other noises and vibrations start to be noticeable far the driver and passengers. 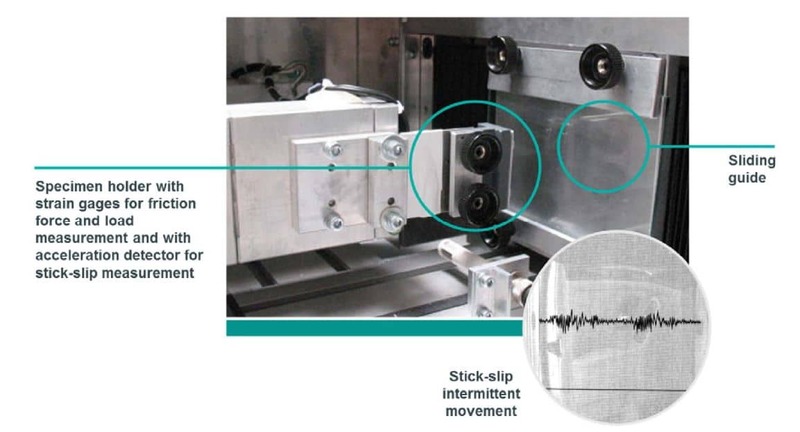 Additionally, with the advent of increasing autonomous functionality, further reducing extraneous noise and vibration is needed to help insure proper functioning of and communication between critical sensors and modules. Nowadays automotive manufacturers pay lots of attention to NVH (Noise, Vibration and Harshness) while designing a car. The noises predominately occur when two mating materials like plastic, rubber or leather rub and slide against each other. Examples include armrests, door panels, switches, gears, clips and seat sliding guides. There are different approaches to how to control NVH and eliminate noise. One of the main concept is friction reduction as well as stick-slip prevention and this is where lubrication plays an important role. The latest technologies in this field include noise dampening greases with a high standard of low temperature performance and very low oil bleeding, and dry lubrication like anti-friction coatings far stick-slip prevention. Automotive Megatrends and lmpact o/ lubricants Modern automotive design requirements are impacted by the current industry megatrends such as safety, comfort & design, energy efficiency and emission control, autonomous functionality and electrification. Lubricants solutions including greases, compounds, anti-friction coatings, pastes, fluids and dispersions play a big role and can influence each of these trends. lnnovations in this field are driven by improved performance and prolonged reliability, enhanced comfort and safety, increased fuel economy and reduced NVH (noise, vibration and harshness). Far example, in interior applications lubricants can increase comfort and perceived quality by dampening the noises and vibrations, reducing stick-slip and smoothing operation and control free motion. In exterior or body applications, proper lubrication of components such as locks, sunroof, window and mirror regulators increase comfort and convenience as well as ensure reliability and durability of components. NVH stands far Noise, Vibration and Harshness. lt is an audible and tactile feedback experienced by occupants. Noise comfort is a quality criterion that influences not only the purchase decision but also the long-term customer satisfaction with the product. Harshness tends to be a subjective assessment. Unwanted and non-functional noise, sound and vibration make people feel uncomfortable and perceive failure. As we move towards autonomous functionality, there is a need to further reduce extraneous noise & vibration to insure safety e.g. sensors need to pick up, interpret, and transmit signals without distraction / interference. There are different ways to control NVH. By lsolating two parts you can prevent vibration transferring to another part. Bonding parts through sorne more rigid method, such as an adhesive, can also stop or reduce a noise. This is not always allowable by the design. Maintaining a consistent friction helps enable smooth operation rather than the potential far vibrations. 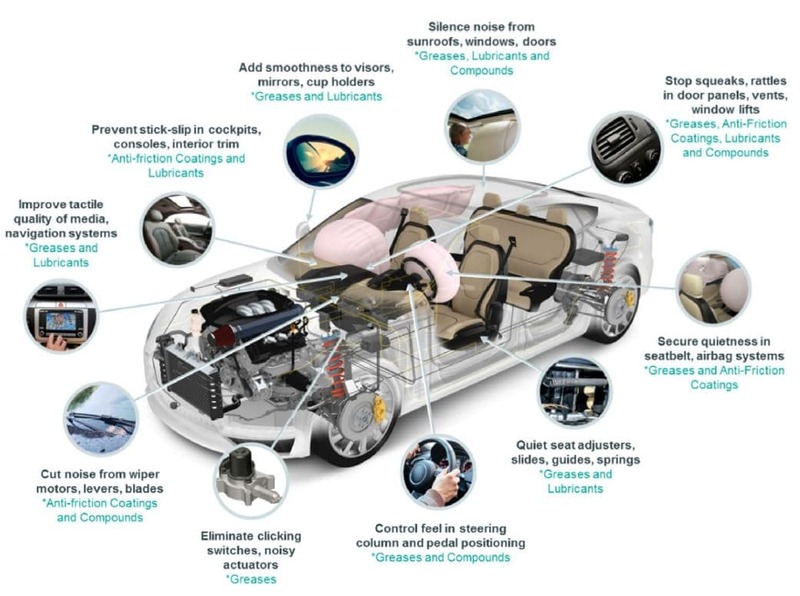 Examples of the lubricants applications far NVH include wiper motors, switches, actuators, visors, mirrors, cup holders, sunroofs, window lifters, seatbelts, door panels, steering and pedal systems, interior trims and consoles and many others (Figure 1). 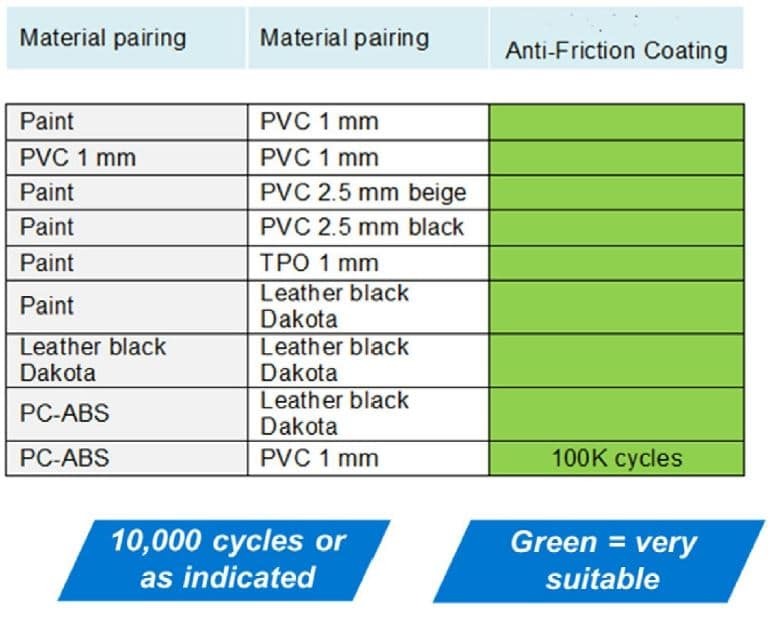 In addition to these requirements, greases should have very low oil bleeding and have an effect of control/smooth feeling together with noise dampening. 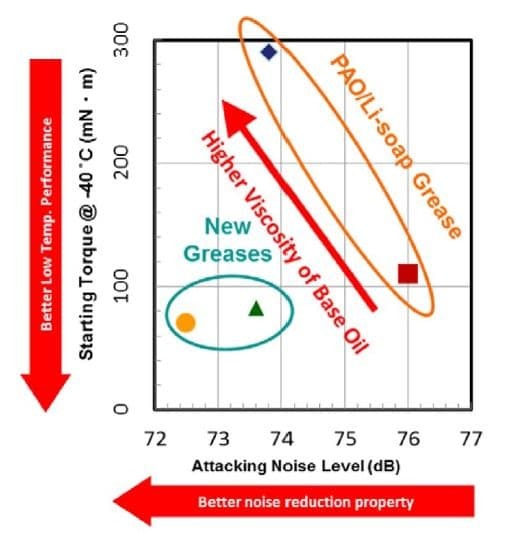 In the current solution, anti-noise properties of the greases can be achieved with high base oil viscosities. However, far good performance at low temperatures low base oil viscosities are required. The balance between these two properties is difficult to achieve. However, the latest developments have shown that it is possible to achieve this by using polymers as the thickener and which also act as a viscosity index (VI) improver. The material used has a co-polymer structure consisting of two blocks which can be described as “hard” and “soft” blocks. Figure 2 illustrates schematically the orientation of the polymers into the oil structure. Due to this network, oil bleed can be significantly reduced as well. In Figure 3 the results of noise reduction tests are plotted versus low temperature behavior. Far two different formulations of new greases it was possible to achieve both good low temperature performance and noise reduction. The standard PAO Li-soap based greases gave either good low temperature performance (with low base oil viscosity) or good noise reduction (high base oil viscosity). Figure 3. Low temperature performance and noise reduction properties. Standard oil bleed tests (ASTM D 6184) give 0% oil bleed with a new grease farmulation using polymer thickener. Conventional grease (PAO with Li-soap thickener) in the same test gave the result of 6% oil bleed. Another oil diffusion test on filter paper illustrates the same tendency of very low oil bleeding far the new polymer thickened grease. Results are shown in Figure 4. In automotive applications, specifically in the interior, low oil bleed is valuable to prevent stain on the textiles and fabrics and contamination of visible parts and electrical contacts. Another approach to solving interior noise issues has been to apply a surface treatment to the contact a reas of the parts generating the noise. This dry lubricant film is an effective way to avoid excessive noise, friction and wear. Dry lubricant, or Anti-friction coating, is a paint-like product in which salid lubricants in a solvent carrier are bound to the surface by a resin material. Like paint, the coating dries or cures to farm a thin, dry layer of sol id lubricants after evaporation of the solvent (Figure 5). Anti-friction coatings are typically applied as a wet film about 30- micrometers thick. As the solvent evaporates and resin matrix cures to bind the lubricant on top of the substrate, a dry film is left, approximately 10-12 -micrometers thick. Anti-friction coatings can be applied with traditional painting equipment. Far interior components, the most established process is spraying. 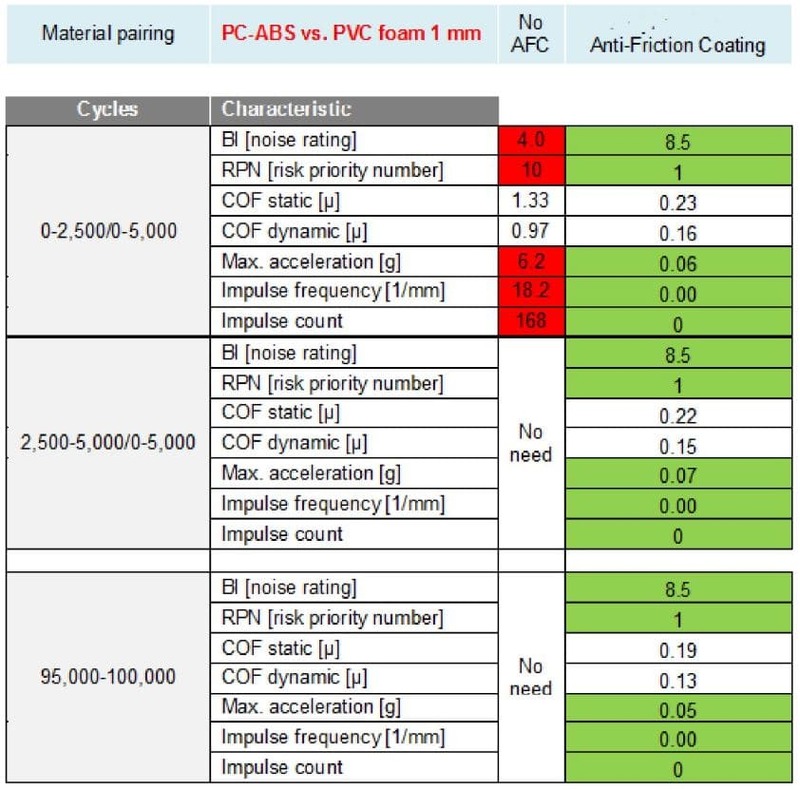 The German Automotive Association has issued standard VDA 230 206 far evaluating the noise generation and coefficient of friction of two materia Is sliding against each other. 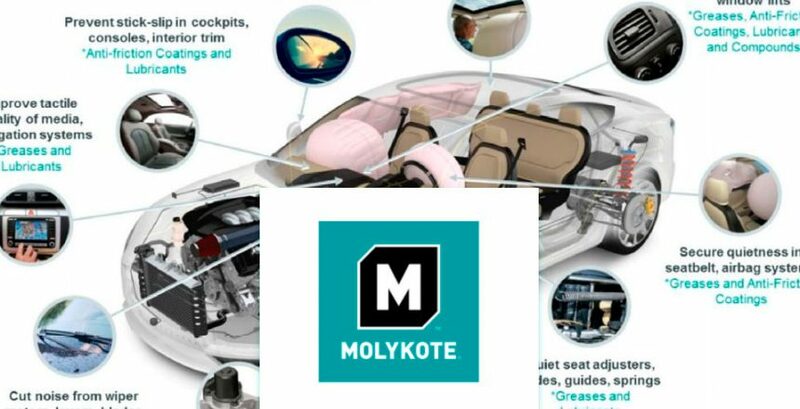 lt is commonly used to analyze plastic materia Is and leather used in car interiors. In the test – figure 6 – one material is attached to an oscillating linear guide; the other is fixed to a stationary holder. The samples are pushed together and sliding at a specified stroke speed is started. A strain gage continuously records the friction force so that the static and dynamic coefficients of friction can be calculated. An accelerometer measures whether sliding speed is constant or variable. Any speed variation is directly related to stick-slip or intermittent movement that generates a noticeable acoustic wave. The machi ne is equipped with software suitable for running durability tests. One of the test protocols is shown in Figure 7. Anti-friction coatings provide a stable anti-noise performance over a long period of time. The test setup can be modified by replacing the plastic with different substrates simulating two pairing materia Is in actual service. Examples are given in Figure 8. Figure 8. Anti-noise test with different material pairings. 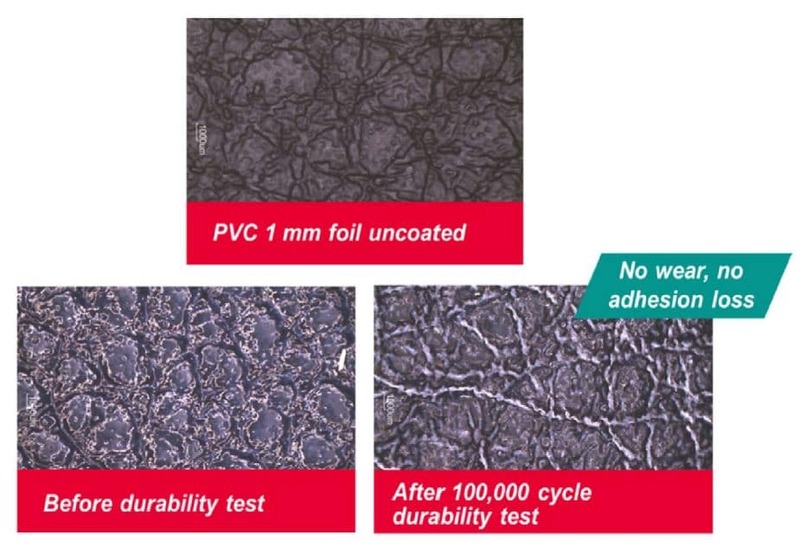 The visual validation of the samples after testing indicate no wear or adhesion loss (Figure 9 – PC-ABS vs. PVC foam foil 1 mm thick). Figure 9. Substrates with and without coating befare and after the anti-noise test. Lubricants play an important role in addressing Megatrends in Automotive industry. One of the most important is relating to comfort and NVH (Noise, Vibration, Harshness). In many cases, NVH can be controlled with the right lubrication. The latest thickening/additive technologies enable the development of greases with low oil separation to also have lower friction at low temperature and better noise dampening properties to address automotive products requirements. Anti-friction coating is a dry-lubrication approach in NVH control to prevent stick-slip and reduce unwanted noise. PrevPreviousWhich Krytox lubricant product is right for your application?